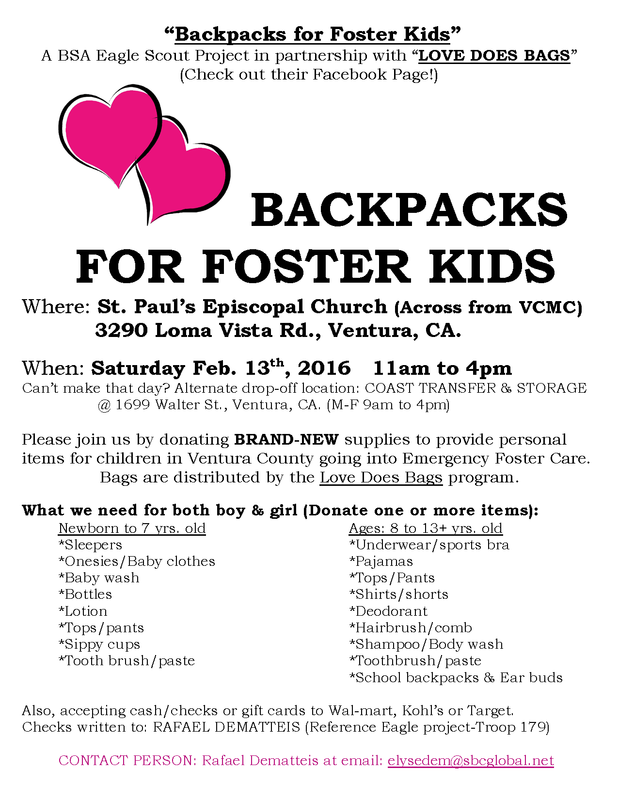 Please join the BSA Eagle Scouts and Love Does Bags by donating new supplies to provide items for children going into emergency Foster care. 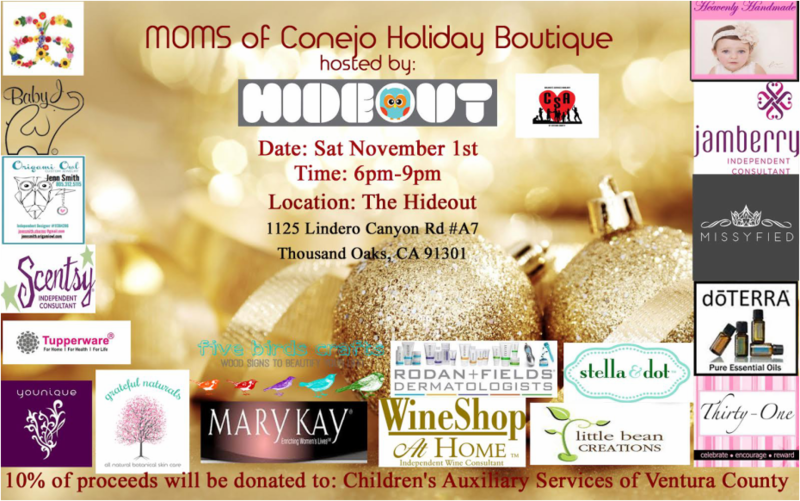 The MOMS of Conejo Valley are generously donating 10% of the proceeds from their annual Holiday Boutique to the Children's Services Auxiliary in support of our Foster kids & families. This is a great opportunity to meet some wonderful people and kick off your holidays the right way! For more information about the group, you can visit their Facebook page. Thanks for your support, MOMS... and all of your wonderful vendors!